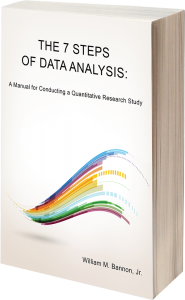 Get the book free when you register for The Steps of Data Analysis class. Easy to read with logical examples; a nice additional resource to a research methods course. It is a good and practical resource to have to be able to access information time and again. Thank you. Although I have not read this textbook cover to cover, I am referring to it as I proceed through my data analysis. It is a helpful resource to say the least! Hi Bill I’m enjoying the book tremendously. This is a great idea for a text and I like the organization. I did not use this book yet. My research was a qualitative study. I did not finish reading the book yet. In my brief review of the entire textbook I found it to be clear, well-written and engaging. I really enjoyed the analogies in the introduction. I think students would find it helpful. This was a great guide do develop and execute a study. I used it in my PhD program and will likely use it for our MS and DNP program. Provide slides sets and videos about the materials. I am a doctoral student who often struggles with statistics. To that end I am always on the hunt for the perfect stats book. I am very pleased with the book and hope it helps me with my comp exams. I am an educator but do not currently teach research or statistics. I would recommend the book if I did. 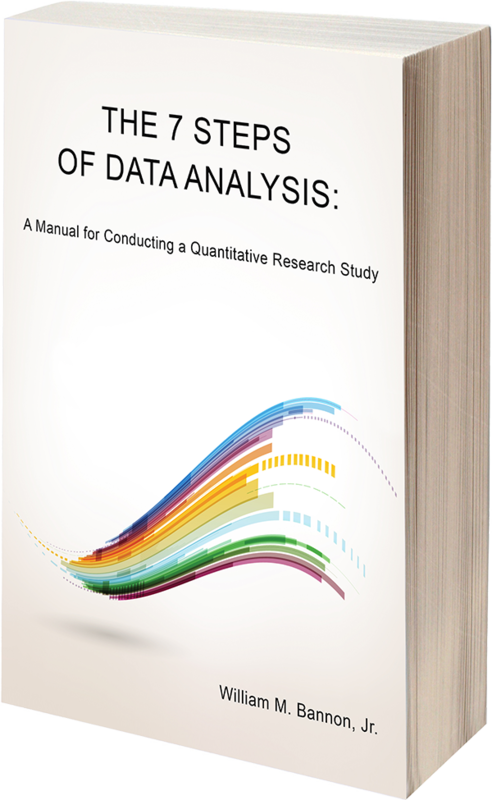 This book is a wonderful guide for students conducting data analyses. As advertised, this is a great text for bringing together concepts taught in many courses. I am an ABD doctoral student with coursework strung out over the years. The book was perfect for me and I can see making it available for students who may not yet have a solid grasp. Excellent resource for Doctorate Nursing Practice Students. I intend to use in my scholarly project course, but would like to see this adopted in our doctorate data analysis course. Concrete examples and analogies are excellent and bring the text to life. Simple language used to explain complex concepts enhances the usefulness of the text. Since I’m unsure if I will be using the book in the classroom, I could not answer any of those questions. However, I will say that I find the book to be an EXCELLENT tool for use in statistical analysis and I used it in my dissertation – it was VERY helpful! Awesome book! This is a down to earth understanding for students. Book is very thorough and is very organized. I would choose this book over other data analysis books. One of the best ones I have seen. Please make it access free! Thank you for taking the time to write this excellent reference – Extremely helpful/useful. I really like it. The content focuses on practical aspect of stats and not too much on the manual calculation details. Excellent … Hope to get it adapted by a research class. I immediately lent it to a colleague who is putting together a new course for our PhD program. I haven’t been able to get it back yet but am looking forward to seeing it!! I think the book is excellent and user-friendly. I also appreciate the webinars that you provide to supplement what is in the book. This book is the best thing ever!! !